You may have almost everything you need to run successful business that stands out from the competition. However, if you don't have a proper strategy for your IT investments, even a highly motivated workforce can quickly hit a wall. If you want happier clients, higher profits, and greater revenues, you need the right technology resources and infrastructure. Introduction: Client business overview, roadmap objectives, roadmap methodology. Summary: Action plan, timeline, budget. 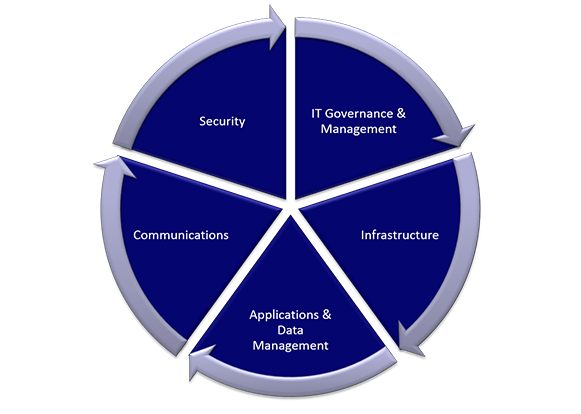 IT Governance & Management: Help desk management, business continuity planning, compliance tracking, training, IT budgeting, staffing requirements, and managed services. Infrastructure: Hardware lifecycle, network topology, software lifecycle, redundancy, cloud readiness. Applications & Data Management: Application usage and workflow, centralized file storage, file and folder structure maintenance. Communications: Email, spam filtering and continuity services, telephony and hosted VoIP. Security: Acceptable usage policies, security training, managed endpoint security. 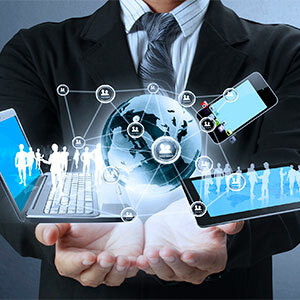 Once we've run through the technology road map process, we will collaborate with you to develop a budget, timeline and strategy for the action plan to ensure your IT processes meet industry best practices.